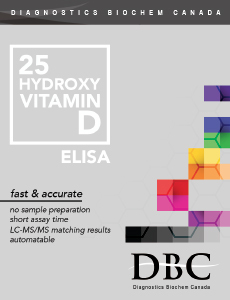 25-Hydroxyvitamin D ELISA kit - Diagnostics Biochem Canada Inc.
Vitamin D concentration in blood should be measured regularly to ensure that satisfactory physiological levels are maintained year round (see references). 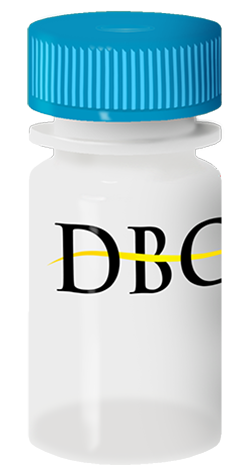 Vitamin D is assimilated from food sources (both vitamin D2 and vitamin D3) or produced in the skin by sun exposure (vitamin D3). The body stores both vitamin D2 and vitamin D3 mainly in the form of 25-hydroxyvitamin D2 or 25-hydroxyvitamin D3 respectively. Therefore, the best approach to assess the physiological levels of vitamin D is to analyze the total concentration of both hydroxylated forms [25(OH)D].